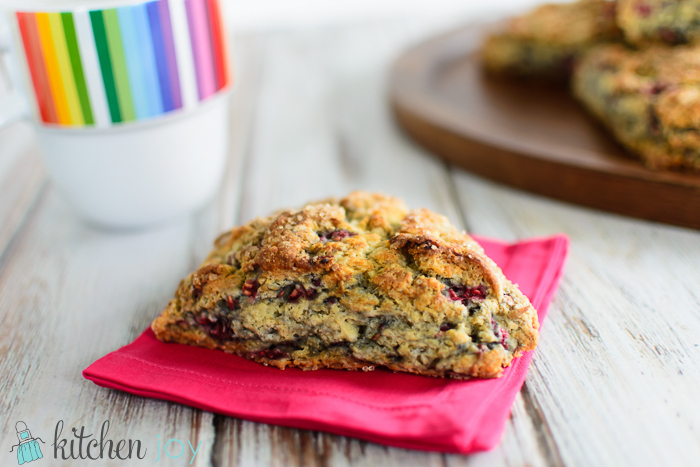 I have tried more scone recipes than I can remember. 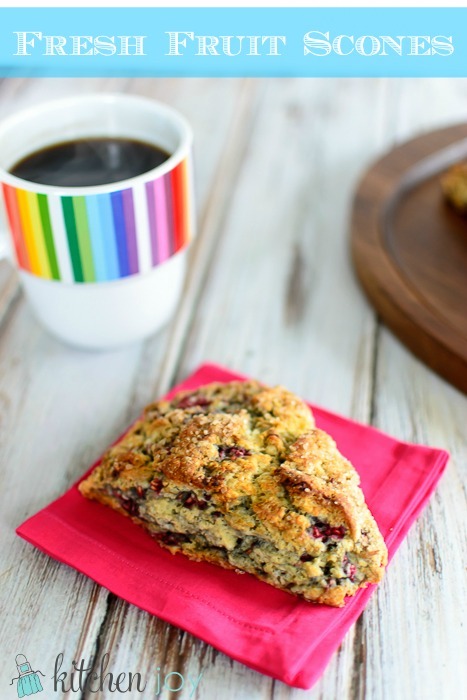 This recipe for Fresh Fruit Scones is by far my favorite. 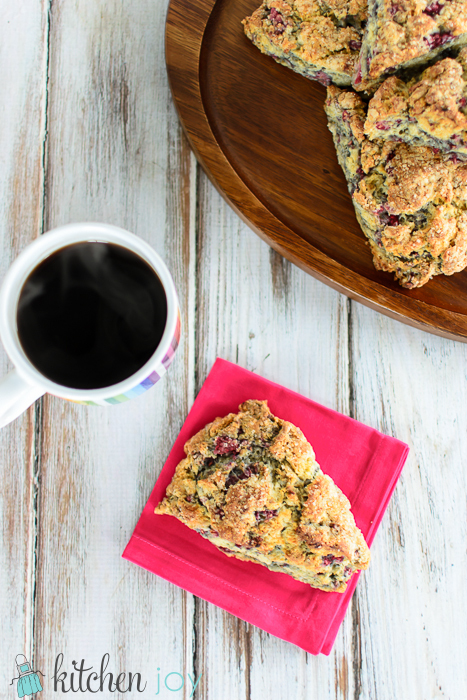 These scones are crisp on the outside and light and fluffy in the middle. 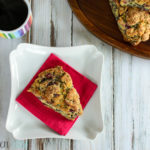 Very unlike the blueberry scone I ordered at a cafe this morning–only to be disgusted by the impostor that somehow finds its way into far too many pastries: lemon zest. There should be a warning or disclaimer of some sort before partaking. I love pastries and I cannot for the life of me get on-board with the lemon zest infatuation that seems to have jaded an otherwise perfectly delicious baked good. 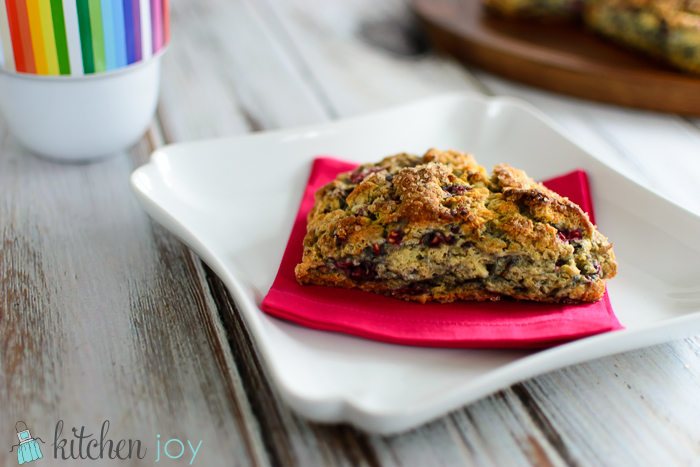 I immediately realized that I am such a scone diva because I have been spoiled by Smitten Kitchen’s scone recipe. As usual, homemade is better. I have made this recipe at least 50 times and in many different variations. My favorites are blueberry or raspberry. I tried several times to make a pumpkin version, but I never found that the texture was as good as the fruit version. (Update: I finally mastered the perfect Double-Glazed Pumpkin Spice Scone!) These are a staple in our house. 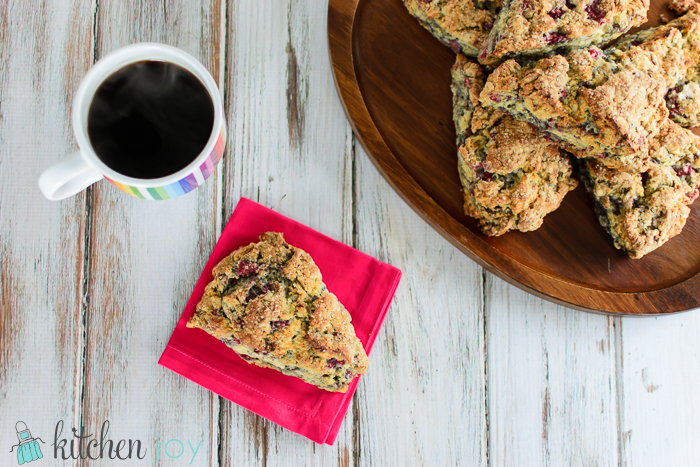 I make them often on Sunday afternoons, and Hubby and I have one for breakfast before work all week long. They reheat splendidly: Just put them on a cookie sheet in a 375 degree oven for 7 minutes while you finish getting ready for work. They taste just as good as new. Add butter to processor bowl and mix until the butter and flour mixture are the texture of coarse cornmeal. Transfer the mixture to a large bowl and add buttermilk and fruit, stirring with a wooden spoon until the dough just comes together. Bake on a baking sheet lined with parchment or a Silpat for 25 to 30 minutes, until lightly browned. 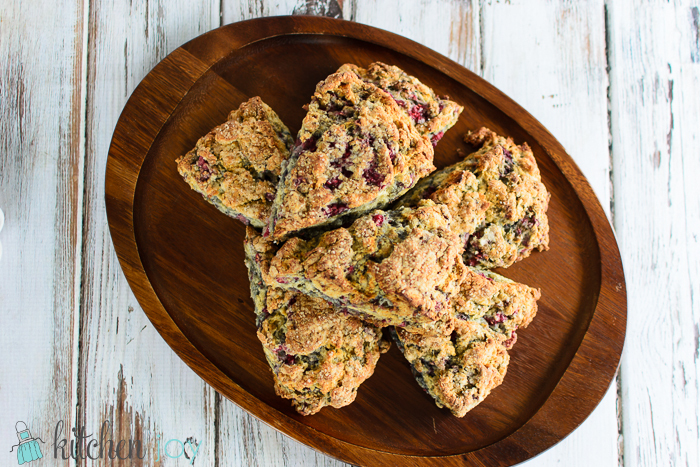 *If you use fresh fruit in a scone, it’s important that you use an aluminum-free baking powder, or your scones will turn out with a blue tint. Aluminum-free baking powder also helps you avoid a tin-like taste in your baked goods.